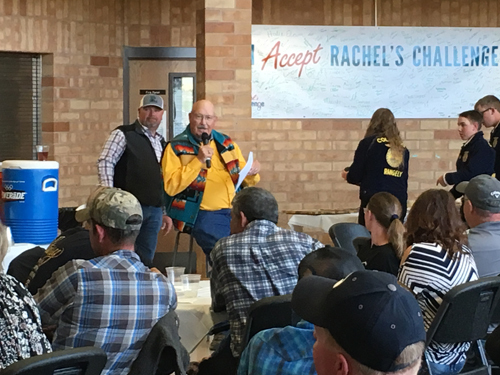 Les Mergelman performed auctioneer duties at Saturday’s Rangely FFA banquet. 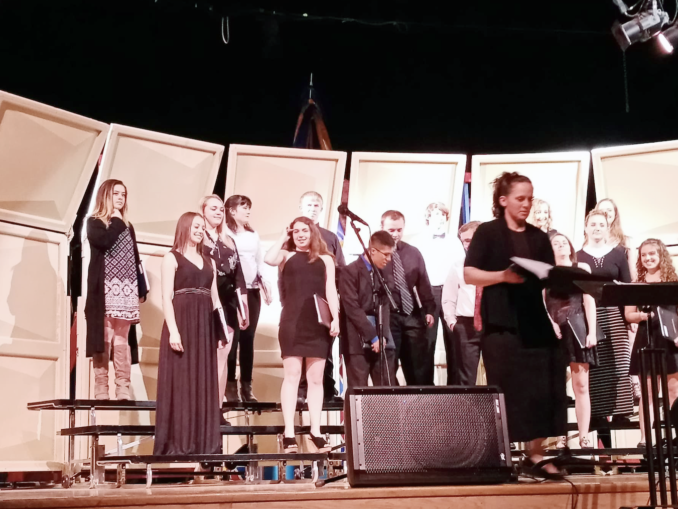 The FFA auctioned off a variety of metal and wood creations made by students. More than 500 people of all ages attended the annual FFA petting zoo Friday, May 4. FFA members provided tours and information for attendees.